For over eight years professional carpet cleaning Henderson companies have been pushing the limit in whats possible. What better place than Henderson to have the hardest working cleaning company? We enjoy carpet cleaning Henderson NV because of the people we get to clean for. It’s simple to understand that when you like the people your around your more apt to want to stick around. And in this case we end up taking our time and doing the job right way. Have us come clean your carpets in Henderson and we assure you, we will be the the last company you will have to call. How Long Does It Take After Carpet Cleaning To Dry? As you now know it just totally depends on many factors, basically the more often you have it done, the higher quality of materials your have the faster it will dry. Believe us though that we will get it drier than any other company in the area. Probably the number one question we get asked is how long does it take for it to be dry after we are done? The answer is about five to 48 hours. The great thing is that you do not have to take any extra precautions other than enjoy your time with your loved ones in your beautiful house you have. Since we do not leave any residue or chemicals behind you can use the flooring right away after we leave. They are slightly damp when we leave, not squishy soaked. Other than that we just ask that ya show up on time, just like we do. Then be sure and tell your loved ones or neighbors about how awesome of a job we did after we leave. All of our technicians are trained either by the ircrc which is a world renowned training group that has been specializing in our field for decades. Or they have at least two years experience. We always pick the best and some times that means interviewing for months and months on end till we find the perfect next technicians to wear our badge and drive our vans to your home. People area always worried and thinking about allergy’s, and what pills to take next. Some even think about changing the air filters in their house every month right on the dial. But what most don’t realize is that carpets soak up allergens such as pollen, dust mites, etc like a sponge. 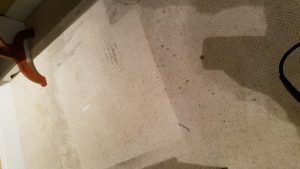 Of course vacuuming helps but many are very sticky and will bind to the carpet fibers making them permanent unless you call us to come rinse them out with hot steam. So yes we should be the first thing you think of next time you get a runny nose or are getting migraines from all the dust storms stiring everything around.